20 Oct Want Cheap Vacations? Become a Travel Agent! One of the biggest misconceptions in this age of Expedia, Travelocity, and other online travel booking sites is that travel agents are obsolete. But according to the U.S Department of Labor, there are more than 74,000 travel agents working in the United State today. A survey of 14,000 consumers released by the American Society of Travel Agents (ASTA) found that 22% of Americans from households earning over $50,000 a year booked travel through a travel agent last year, up from 14% just 3 years ago. Among millennials, the number booking their trips through a travel agent is 30%. An article in Forbes magazine notes that “some consumers are circling back to travel agents.” A study from PhoCusRight.com found that people who use travel agents tend to spend more and also book more complex trips. There are 3 major reasons to consider becoming a travel agent – and if you want to learn more about making money as an Independent Travel Agent, click here now. The first is that as an agent, you can turn your love of travel into cash – with either a full-time career or spare-time income making money dealing with a product you really care about. Becoming a travel agent gives you the opportunity to escape the 9 to 5 rat race, work the hours you choose from an office or your own home, and be your own boss in a business you are passionate about. The second reason to become a travel agent is the discounts you get on travel for you and your family. As a travel agent, you can save up to 75% on travel including hotels, resorts, car rentals, cruises, theme parks, and vacation packages … earn rebates on airline tickets … and get free upgrades to first class when you fly. The third big benefit to becoming a professional travel agent is the opportunity to go on industry-sponsored “fam” or familiarization trips. How it works: to familiarize travel agents with their venues in the hopes of having more business sent their way, many hotels, resorts, and cruise lines will invite travel agents for free or discounted vacations, known in the industry as fam trips. 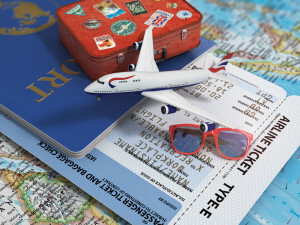 He adds, “The better informed you are as a travel agent, the more helpful you’ll be in recommending particular destinations, hotels, and means of transportation.” The ASTA offers a number of courses on travel and the travel agency business; visit www.asta.org. Your career options are (a) to become an employee of a local travel agency, (b) start and run your own small travel agency, or (c) work as an Independent Travel Agent for a large international travel agency such as Global Travel International (GTI). Are you interested in working as an Independent Travel Agent? Join Global Travel International and we can get you started! Click here or call 1-800-250-7912! and training already in place. In addition, the mega-travel agencies like GTI have the leverage to negotiate better deals with the travel suppliers, enabling their agents to save customers more money on trips. Some of the mega-travel agencies, including GTI, enable you to work as an Independent Travel Agent for a small upfront fee. Others sell you a franchise which is usually more costly. Even if you decide to start your own travel business independently, in this era of digital communications, more and more people are doing it from their homes, eliminating the expense of renting an office or storefront. So start-up costs and overhead for your travel business are minimal. Independent Travel Agent. Call GTI at 1-800-250-7912 or click here now!